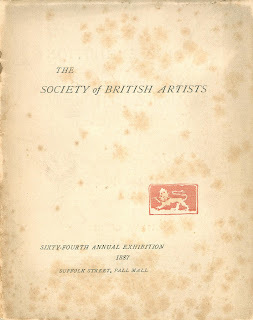 On 4 April 1887, the Prince of Wales and his wife attended the private view of the sixty-fourth annual exhibition of the Society of British Artists. James McNeill Whistler had persuaded the Prince to come, as he proudly wrote to Théodore Duret: 'J'ai fait venir Le Prince & La Princesse de Galles'. Whistler had been elected President of the society in Suffolk Street, Pall Mall, on 1 June 1886 and took office in December. His efforts to revitalize the organization were met with hostility and complaints, and he was forced to resign on 4 June 1888, staying in office until November. The paintings and prints were arranged on eye-level in two rows, and this was a revolutionary change from the crowded exhibition rooms of the past. 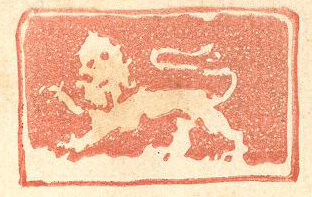 Whistler designed a new symbol for the society, a small red lion, which appeared on stationary and catalogues, as well as on the signboard. 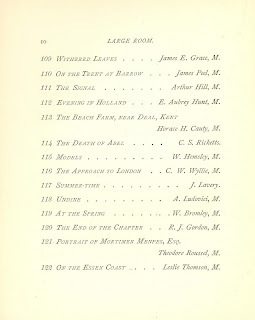 Whistler had invited foreign artists and followers to join the society, and during the Whistler years the young artists Charles Ricketts (he would turn 21 in 1887) and Charles Shannon (24) exhibited in the Suffolk Street rooms. 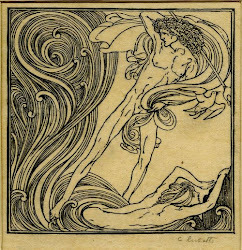 In 1887, at the annual exhibition, a work by Ricketts was on show in the Large Room: 'The death of Abel', probably a water-colour or a pastel (present whereabouts unknown). 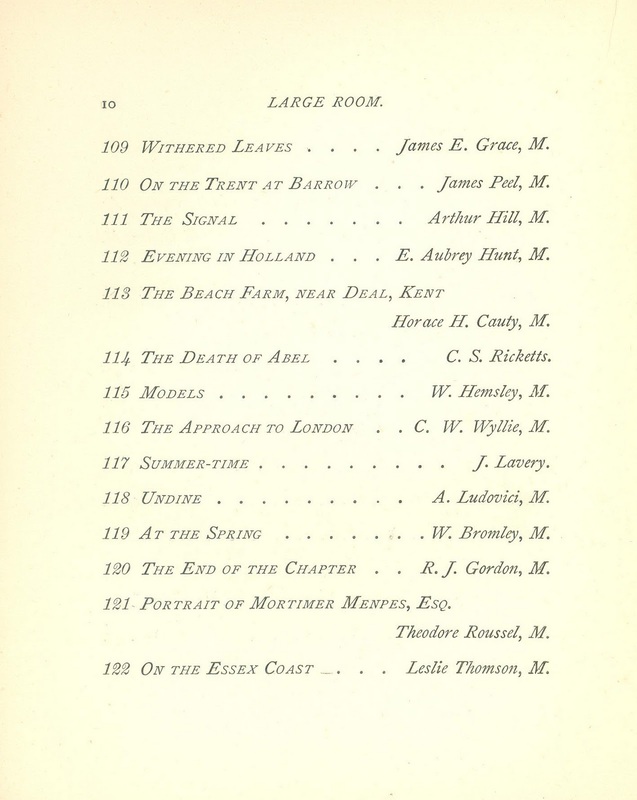 (*) See 'Whistler as Exhibitioner', in: Deanna Marohn Bendix, Diabolical Designs. Paintings, Interiors, and Exhibitions of James McNeill Whistler. Washington, London, Smithsonian Institution Press, 1995, p. 239-245. (**) Self & Partners (mostly Self), being the Reminiscences of C.J. Holmes. London, Constable, 1936, p. 164.